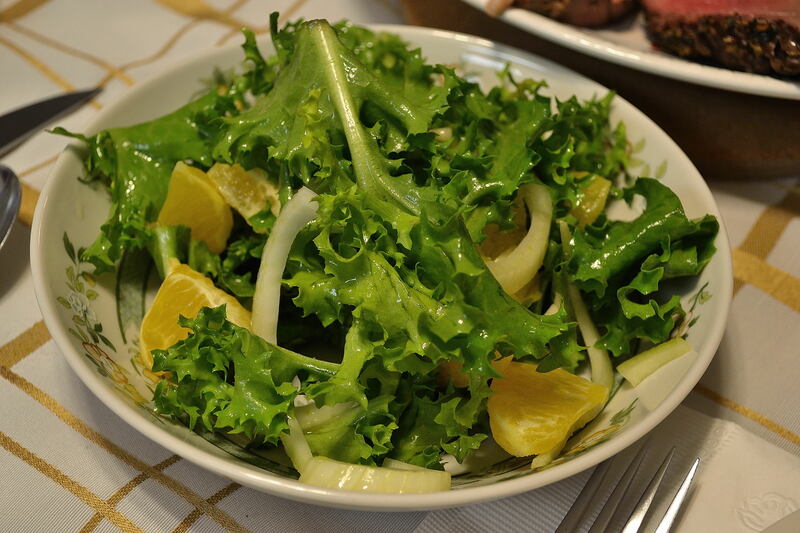 Make the vinaigrette: Bring the orange juice to a boil in a small saucepan over medium-high heat. Reduce the heat to medium and simmer briskly until the juice is thick, syrupy, and measures about 3 tablespoons; about 25 to 35 minutes. Transfer the orange juice syrup to a small bowl and refrigerate until cool, about 15 minutes (can be refrigerated in a covered container for up to 2 days). Transfer the cooled juice to a small bowl, whisking in the lime juice, olive oil, honey, and minced shallots; stir in the salt & pepper, to taste (vinaigrette can be stored in refrigerator for up to 7 days). Place all salad contents in a bowl, and gently toss with vinaigrette.